Along with the announcement of the Nokia X7, the Finnish company recently introduced the Nokia E6 handset. Similar to the Nokia X7, the Nokia E6 will carry the much improved Symbian “Anna” operating system. This update to Symbian^3 reportedly offers usability enhancements including new icons, improved text input, a faster internet browsing experience and a refreshed Ovi Maps application. The Nokia E6 follows the successful runs of the Nokia E71 and Nokia E72 devices to which it is being compared. Like its E71 ans E72 brothers, the Nokia E6 handset is being marketed as a business smartphone and is therefore expected to compete with Blackberry phones. 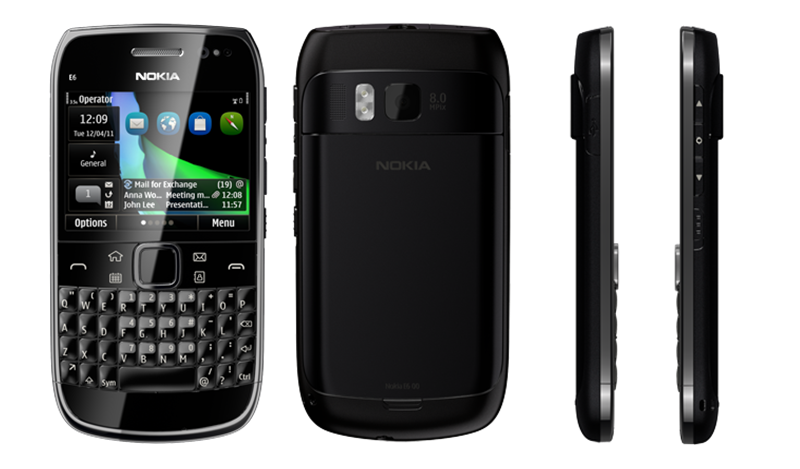 The Nokia E6 has full QWERTY keypad and a touch display. It also features an 8GB storage and an 8 megapixel camera with full focus and dual LED flash. It can also take 720p HD videos at 25fps. Nokia claims that the Nokia E6 “offers exceptional battery life and the best out-of-the-box Microsoft messaging experience on a business smartphone”. 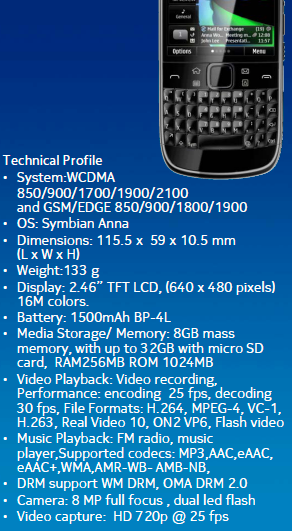 Here’s the full technical profile of the Nokia E6. If you want to see the other feature of this phone, follow this link. Below is Nokia’s video on the E6. i thought symbian is a thing in the pas and Nokia is on OVI, and recently on Windows Phone 7.